ePublishing Knowledge BaseePublishing Knowledge BaseePublishing Knowledge Base User Manager: Creating Admin Roles & PrivilegesHow do I add a new editor? If you are adding a new editor, follow the steps outlined in this article. 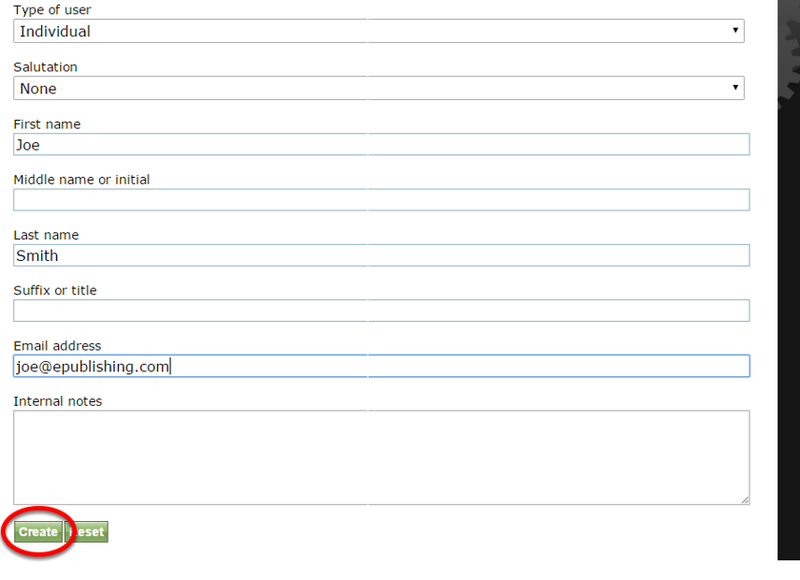 If the email address associated with the editor already exists in your system, these steps won't work. 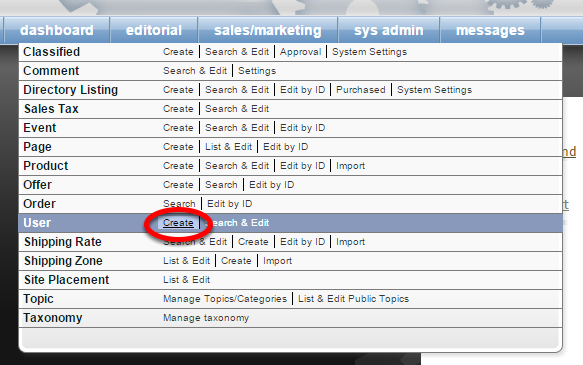 Instead, select Search & Edit in the first step and edit the user's record starting at Step 4. 1. Under Sales/Marketing, select Create next to User on your dashboard. 4. If you use Roles, they will already be set up. By default, there are no editor roles. Please ask your Solutions Manager to set that up for you. The roles will determine which part of your website's back-end the new user will have access to. 4.1. Select the appropriate role for your new user by clicking on the box next to the title. 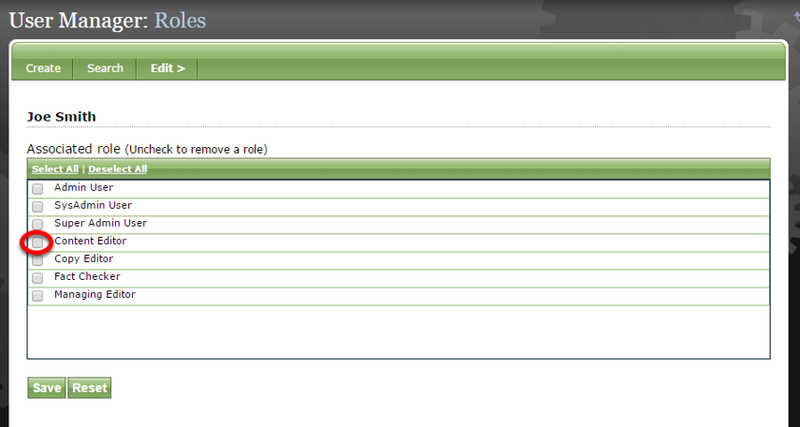 Zoom: Select the appropriate role for your new user by clicking on the box next to the title. 5. 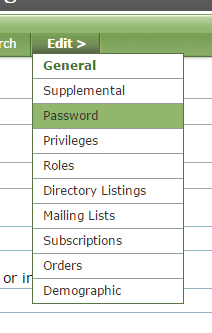 Another option: Select Privileges to assign access to specific areas of your website and click Save. For example, you may just want a new editor to have access to the Article Manager. If so, click the box next to Article Manager to select, and then click Save. IMPORTANT: If only using Privileges, be sure to add the Dashboard privilege. It allows your new editor to at least see the initial dashboard when the tool first loads. If your editor reports seeing an error message that says "You do not have privileges...", simply add the Dashboard as one of their privileges and have them log-out / log-in. Prev: How do I change a reader's password? 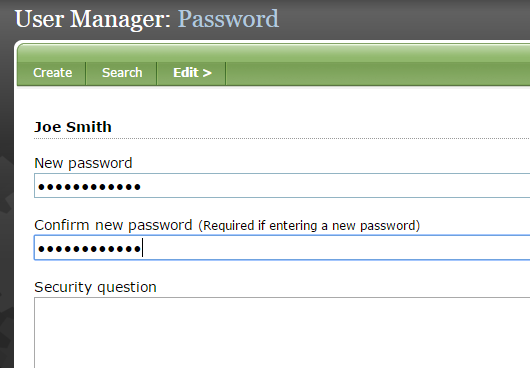 Next: How do I create a new Admin user?